If you are planning a trip to Hiroshima, spend a day outside the city in Iwakuni and Miyajima – and it is what I did. Thinking about what I supposed? After approximately an hour JR ride from Hiroshima (plus another 20-min bus ride), we arrived the famous Kintaikyo (bridge) in Iwakuni. Once I walked out the Iwakuni station, there was a sign for the bus to the bridge – easy. I was originally expecting nothing else but a wooden bridge (A very famous bridge, though). Surprisingly it was much more GINORMOUS than I thought; the moment I got off the bus I saw the five magnificent wooden arches spanning across the running, crystal-clear Nishiki River. It was the cherry blossom festival at that time and the view was breathtaking~ Flowers were blooming and birds were soaring over our heads. Paid 500 yen to cross the bridge, and we saw lots of exciting food stalls in the carnival; an ice-cream stall that offered over 100 different flavors! A food stall that was grilling Hiroshima Oysters! And turnip-cake-shape-like Iwakuni Sushi! Go halfsies with a friend to buy a bento box and have a picnic on the riverside, kids were chasing in the water and the Iwakuni castle was standing at the peak of the nearby hill. The wonderfully fulfilling experience ended with a bag of clay-oven cookies to be shared with loved ones at home ~ Yeah!! How did I get there: JR from Hiroshima and get off @ the Iwakuni station. There are signs leading people to the bus-stop the moment getting off the bus. Just follow the signs, and don’t worry. How did I get there: JR connections and take a JR Ferry @ the Miyajima ferry terminal – and it’s included in JR Pass 🙂 Make sure you dressed warm enough in cold days and stand on the deck to enjoy the view of the island from afar! 1. I did Kintaikyo first because I checked the tidal changes and it was on the evening that day, feel free to move your schedule around because tides change every day. 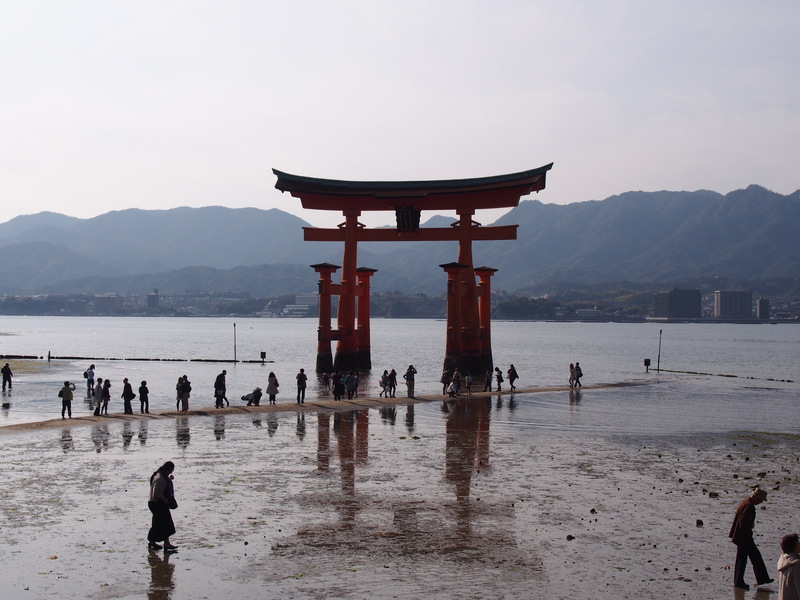 2. if you have a JR pass – the ship ride to Miyajima is included so it’s free! Here’s a video showing the incredible sights in the area and it was amazing! I really like your writing style, very good information, many thanks for posting. Totally love Sakura blossom! I’ve been to Miyajima before. Really love the peace there. And with Sakura, it’s SaiKo! Blooming cherry trees, 100 different kinds of ice cream, and a picnic lunch – that sounds like a perfect day. Iwakuni is beautiful. The famous bridge over the river, the blossom, and over 100 ice cream flavors sounds like a perfect combination. 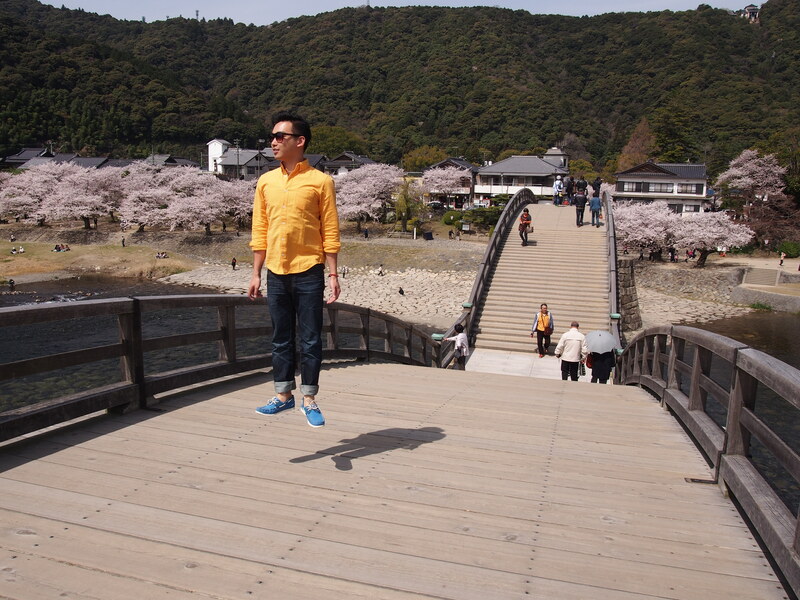 Visit to Itsukushima Shrine sounds like an amazing experience too. Yes, Iwakuni may not be exactly under the travel radar but the Iwakuni bridge is a very important heritage in Japan. It’s stunning and it’s also the culture and experience that makes the entire thing so special for the locals, and also travelers, thanks Edith.